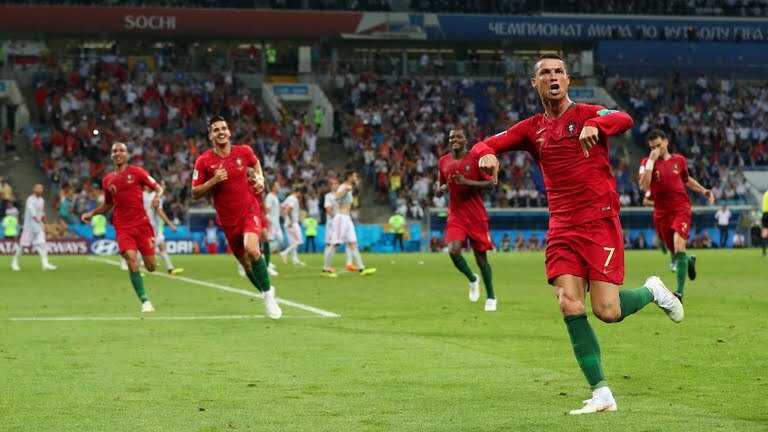 It was such a wonderful start the Portuguese captain, Cristiano Ronaldo as he netted his first hat-trick in the 2018 World Cup against Spain. Diego Costa netted two goals before he was substituted, while Nacho scored the fantastic third goal for Spain. Ronaldo led his Portugal team in their opener against Spain which ended 3-3 draw. The forward scored his 51st career hat-trick for club and country. The Portugal star has become the forth player to score in eight diferent World Cup major tournament, including World cup, European Championship and Copa America.